The Tavern takes over the salad chain’s original storefront in Georgetown. 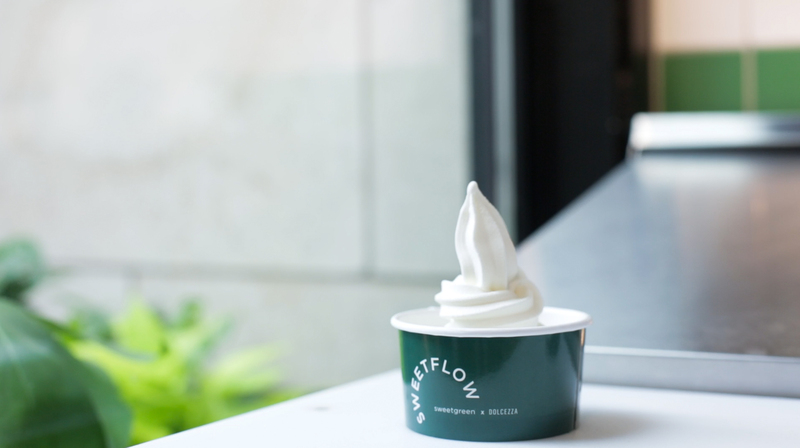 In addition to partnering with local groups to create one-of-a-kind offerings, the frozen yogurt Sweetflow is back! While you won’t be able to customize your Sweetgreen salad in-store, you can order one online and pick it up at the Tavern. The iconic 500-square-foot cottage-like spot was home to a hamburger joint called Little Tavern before 2007, when three Georgetown University students turned it into a salad shop. The owners hope their new market will deliver a similar resource Georgetown sorely needs—fresh, high-quality groceries and goods from local makers. “We see this as a platform to celebrate the region,” says co-founder Nicolas Jammet. Most of the produce and goods carried within the shop come from area purveyors that Sweetgreen has worked with for years. “We’ve made amazing relationships with farmers and growers and wanted to use the Tavern to celebrate their products. Our success as a business is really due to their success,” he says. The spot is also partnering with local groups to create one-of-a-kind offerings, like sweet pickles by Gordy’s and a special Lost Sock coffee blend that were created just for the Tavern. You can also pick up cookbooks from José Andrés or Nora Pouillon, buy a bouquet of flowers from the Common Market, or sign up for a CSA program, where members will receive monthly boxes of produce from local farmers. While you won’t be able to customize your usual Sweetgreen salad in-store, you can order one online and pick it up at the Tavern. (It will be delivered there from their Wisconsin storefront.) As a nod to the founders’ history, Georgetown students will be able to swipe their GO Cards and take advantage of student-friendly promotions. Sweetgreen’s frozen yogurt is back. 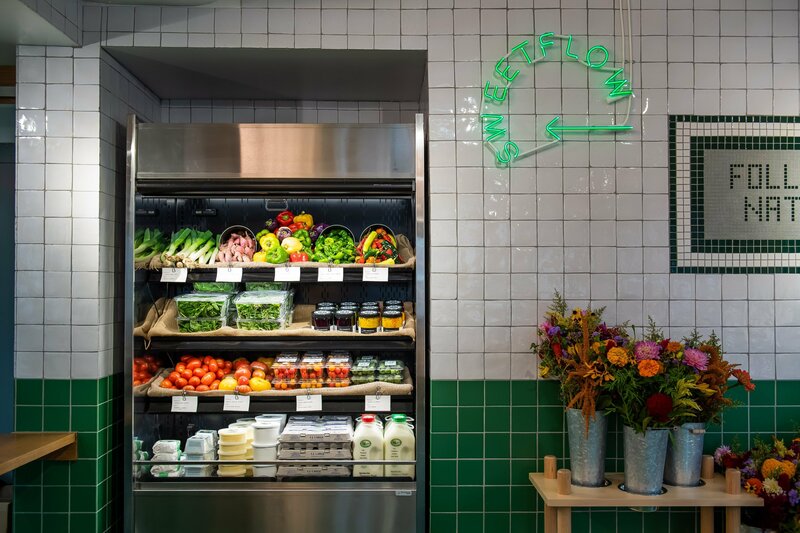 Photo courtesy of Sweetgreen.But most importantly: Sweetflow is back. The spot’s frozen yogurt was a fan favorite, but it was taken off the menu in 2014. The 2.0 version is made with the help of Dolcezza Gelato, but it’s the same sweet-tart goodness you remember. 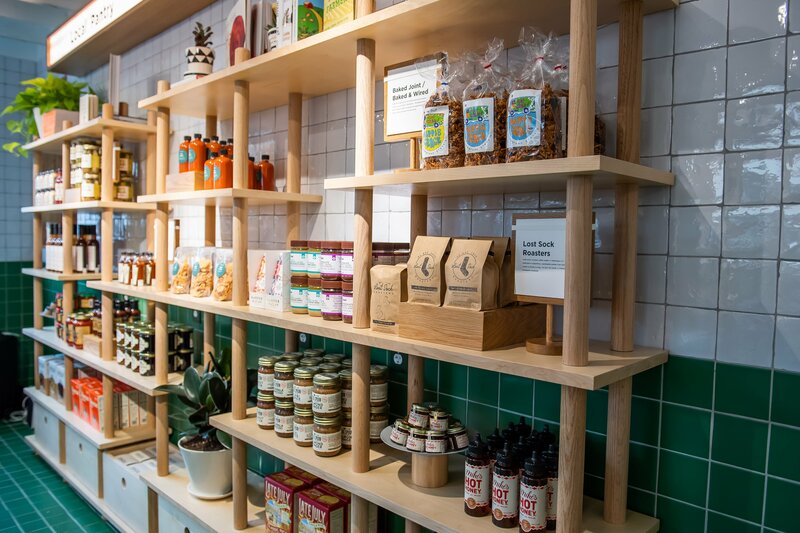 Head to the in-store counter for a cup, where you can choose from new toppings like the Hippie Crack granola from Baked & Wired and a chocolate tahini spread from Soom.A plaque on the wall tells the story of how Sweetgreen got started. The company’s first logo is also on display. It’s meant to be an emblem of how far the owners and the brand have come since the early days, as well as a reminder that there’s always room for experiment and change. “We’ve always been super grateful to be a business and brand that started in DC and in Georgetown, and to come back here to the actual Tavern where it was born is super exciting and nostalgic,” Jammet says.